Louise has proudly called Hong Kong home 20+ years. She's been a members of AFHK since 2008 and immediately found the parenting support and network offered invaluable guidance for her family's adoption journey. She joined the steering committee in 2010 running events. In 2013 she over the role of Chair. Louise and her husband are the proud parents of 2 children; a daughter by birth and a son adopted as a toddler from Cambodia. Louise is passionate about supporting, connecting, informing and educating those who are touched by adoption. Her favourite AFHK events are the picnic on the Peak and the Holiday Party. In her business life Louise works as a real estate consultant. She is originally from Melbourne, Australia and holds a Bachelor of Science in Urban Planning from RMIT (Royal Melbourne Institue of Technology). Maria was born in Hong Kong. She finished her undergraduate studies in Australia before pursuing her MBA degree at University of Wales, UK. 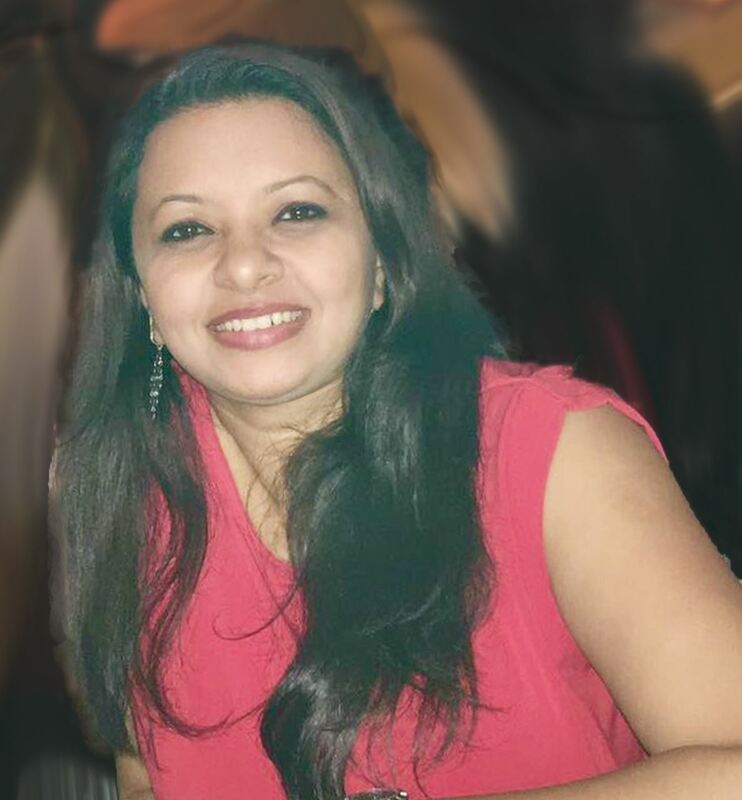 She is currently the Asia Regional Financial Controller of a leading British law firm and a full member of Institute of Public Accountants and Institute of Financial Accountants in Australia. She is married with one teenage daughter. Maria joined AFHK as Treasurer in early 2015. Becky is a Hong Kong adult adoptee who at 18 months was adopted into a British family. Hong Kong was home until she went to Secondary school and then college in the UK where she qualified and trained as a Nursery Nurse. Since 1997 she has worked in the child care field in HK and the UK. Recently she has branched out into other work interests and she has her own business in trading/shipping. After joining AFHK in 2008 Becky came onto the committee in 2010. 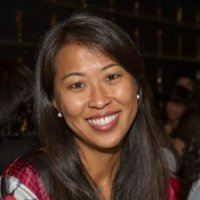 She is interested in bringing together and connecting adoptees from all over the world and more importantly adoptees from HK. She can often be found helping at AFHK functions and is a central point for adult adoptees wanting to know more about adoption in Hong Kong. Becky is grateful for the support, friendship and community that AFHK offers to those touched by adoption. Lucas was born in Australia, has spent a few years in Singapore and moved to Hong Kong in 2016. He is a stay at home dad to two children, loves the outdoors, and is an advocate for judo, cycling, collective consumption, and reducing his carbon footprint. Prior to parenthood, Lucas was a primary educator in Singapore and Australia, and a manager and support agent for coworking communities and start-ups in the same two countries. 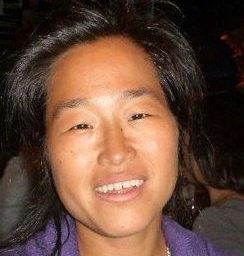 Ann grew up in Hong Kong and completed her high school education in the UK before returning to attend university in HK. Ann received her bachelor’s degree from the University of Hong Kong, followed by a degree in Occupational Therapy at the Hong Kong Polytechnic University. 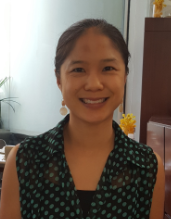 After practicingOccupational Therapy for over fifteen years specializing in pediatrics, Ann returned to the University of Hong Kong to complete her Post Graduate Certificate in Psychology and she then subsequently obtained a Master’s degree in Clinical Psychology. 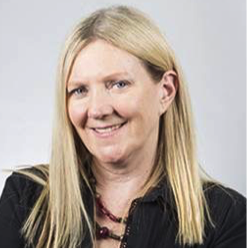 Ann has worked extensively with children, adolescents and their families in hospital, private clinical and school settings. She has experience working with children and adolescents with a wide range of developmental difficulties and disorders individually and within small groups. Ann works with families to address their children’s challenges in areas such as social and communication problems, attentional, emotional or behavioral difficulties. Ann has spoken on the topic of child development to numerous groups of educators and parents, both in Hong Kong and overseas. She provides psycho-educational assessments for children and adolescents. Ann is an accredited facilitator for Group Triple P (Positive Parenting Programme) and Group Stepping Stones Triple P (Positive Parenting Programme for children with special needs) courses. She is trained todeliver the Sequential Oral Sensory approach to eating difficulties and is certified in the Sensory Integration and Praxis Test. 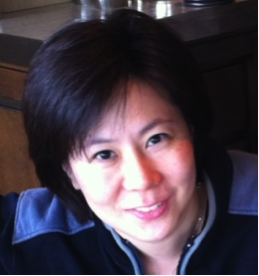 Ann is the mother of two teenage daughters and speaks English, Cantonese and Mandarin. Vivian is a registered social worker in Hong Kong. As a teenager, Vivian volunteered for a non-profit organisation serving pregnant girls facing crisis pregnancies and children in need of temporary and/or permanent care. She later joined this organisation, first as an adoption social worker, then supervisor. 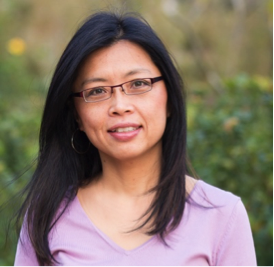 Vivian is passionate about adoption advocacy and volunteers her time to help adoptees and their families on their roots tracing journey. Vasavi is a professional artist and graphic designer. She has been living in Hong Kong since 2007 with her husband and two children. Having volunteered at the American Red Cross, Rochester Arts Council, SINDA, and now AFHK she feels honored to be part of such great organizations. 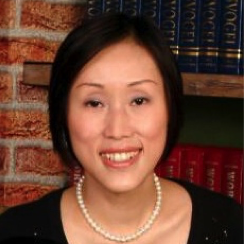 Dr. Erica Liu Wollin is our Professional Adoption Resources Coordinator and co-leads our Monthly Discussions, Parent Support Meetings and Professional Events. She is a Registered Psychologist in Hong Kong and a Board-Licensed Psychologist in the US. Erica has a private practice in Sheung Wan, specialising in trauma therapy. She serves as a trainer, consultant and adoption committee member for Mother's Choice, and has consulted for Alliant International University Hong Kong, Dance with Depression, City University of Hong Kong Student Development Services, Lingnan University, Hong Kong Society for the Protection of Children and Richmond Fellowship. She is married and has a son by birth and a daughter by adoption from China. Cheryl is an Early Years Therapist that primarily supports children under the age of 8, including, infants, toddlers, pre-schoolers and school aged children. Support is offered through Baby Bonding, Toddler Bonding, & Play Therapy. In her therapeutic work, Cheryl uses play as a tool to strengthen attachment and family relationships. Cheryl takes a systemic approach, working closely with not just the child, but with the parents and teachers to ensure a collaborative and consistent approach. She works with Central Health Partners Child Development Team at Southside Family Health Centre. Jenny is an Australian born adult adoptee of Vietnamese/Chinese heritage, adopted from birth into an Anglo Australian family. She has been living in Sydney most of her life, where she graduated from the University of Sydney with a Bachelor of Education (Primary). Jenny has been working as an EAL teacher across Sydney schools for 10 years. Jenny and her husband relocated to Hong Kong early 2017 for her husband’s work. Whilst in Sydney, Jenny was involved with the Post Adoption Resource Centre (PARC). She has a passion for sharing her life experiences with others, having overcome many challenges herself. Her particular interests are mental/emotional wellbeing and transracial adoption. Renni is a Korean Adoptee who grew up in the United States. She was adopted at 8 months old. She received her Associates of Applied Science degree in Occupational Therapy Assisting then later switched career fields and obtained her Bachelor's of Science degree in Business Administration. 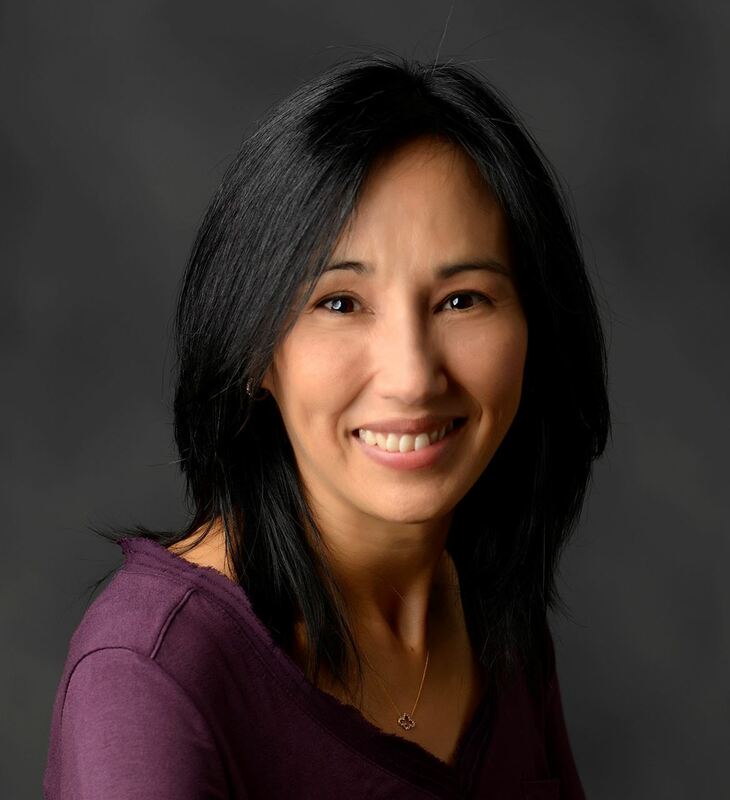 In 2012, after an unsuccessful birth family search, Renni was inspired to connect with others in the adoptee community. Her worldwide adoptee network intrigued Renni to learn more about Asia. When her husband's company presented the chance to live in Hong Kong, they jumped at the opportunity to live abroad. Thanks to the power of social media, it allowed Renni to learn about AFHK. Due to the positive impact AFHK has had on Renni, she wanted to give back and do more by volunteering her time as a Steering Committee member. Lily is a Chinese-born adult adoptee who was raised in the northeastern United States. She has been living and teaching English at the Chinese University of Hong Kong since July 2018. While completing her undergraduate studies at Yale University, Lily invested much of her time in helping to coordinate the Chinese Adopted Siblings Program from Youth, a semiannual event that aims to foster cultural connections and friendship among the broader Chinese adoptee community of New England. 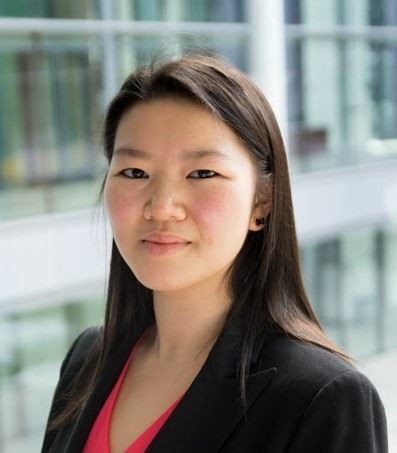 She is thrilled to be serving on the AFHK Steering Committee as the Social Media Copy Writer and also looks forward to contributing to the organization's Adult Adoptee efforts. If you have been touched by adoption or are interested in adoption, please partner with us by giving your time to volunteer with our steering committee or any of our other programs and initiatives. Chinese speaking volunteers are also needed to help support bilingual programs. For more information about volunteering with AFHK please visit our Volunteer page.